The Committee on Improving Judicial Oversight and Processing of Probate Court Matters (“Probate Court Committee’) issued its Final Report to the Arizona Judicial Council (“AJC”) and the Supreme Court in June 2011. Filing of the Final Report concluded the work of the Probate Court Committee. The Supreme Court adopted new rules and changes to the Rules of Probate Procedure in December 2011, based on the recommendations made by the Probate Court Committee in its Final Report. Of the 24 probate rules adopted, 15 took effect February 1, 2012 and 9 are effective September 1, 2012. 1. Training for attorneys serving as appointed counsel or guardians ad litem; for court investigators and for non licensed fiduciaries. 2. 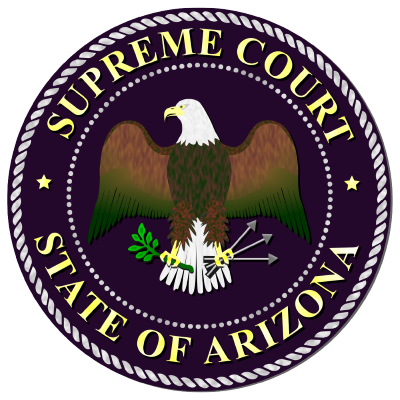 Changes to Arizona Code of Judicial Administration (“ACJA”) § 7-202: Fiduciaries to implement statutory changes resulting from Senate Bill 1499 and other amendments necessary to implement the new Probate Rules. 3. Probate Forms. A new ACJA § 3-302 adopts statewide Probate Forms. 4. Statewide Fee Guidelines. A new Section § 3-303 adopts the recommendation of the Probate Court Committee for statewide Fee Guidelines.